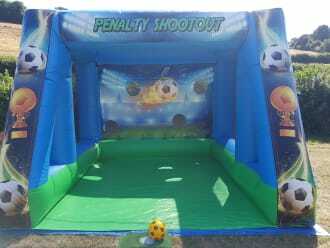 Hire the Penalty Shoot Out and see if you can handle the pressure as the crowds gather and look on in anticipation. Their hope lies on your shoulders as you place the ball on the penalty spot. It all depends on this one shot as you try to beat the goalie. You take a breath and take aim, as you let it out you hit the ball and then....will the crowd cheer? The Football Shoot Out is fantastic fun as you and others try to beat the goalie by shooting the ball into one of the four targets within the goal. 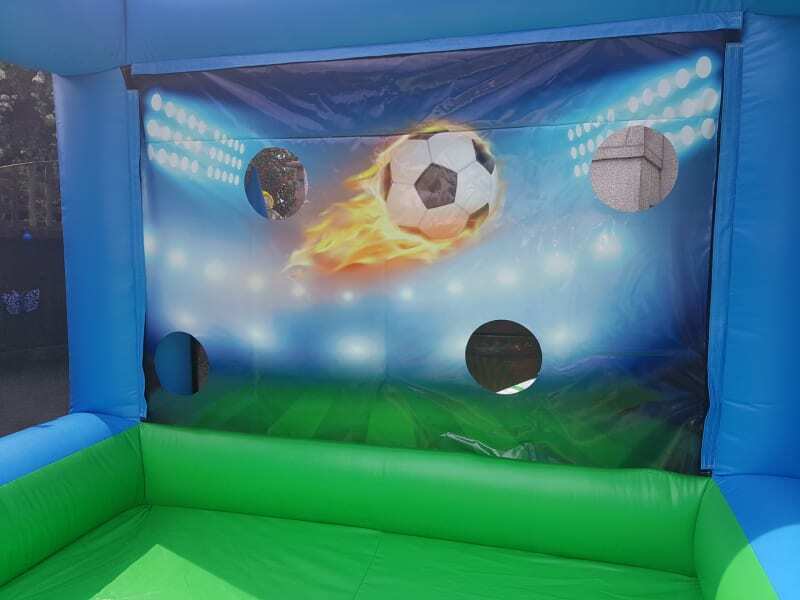 Endless fun can be had with the penalty shoot for both young and old. Watch as Mum/Dad takes on the kids and then Grandad shows them how its done. The Football Shoot Out would be a perfect addition to many events including fun days, corporate events, fundraising events, birthday parties and more. Huge thanks to Ant for providing all the entertainment for our son's birthday party. Professional service and ensured that everything was ready for the start of the party, despite the hall manager being 45 minutes late. Can't recommend highly enough! What can I say except for amazing! Never used a company of any kind that has been so professional in every way. Top quality bouncy castle and top quality service. Absolutely recommend and would definitely use again and again. Thank you so much for making my son's birthday what it was.